Step out of New Delhi with an excursion to Cyber Hub in Gurugram (Gurgaon)--about 40 minutes away. 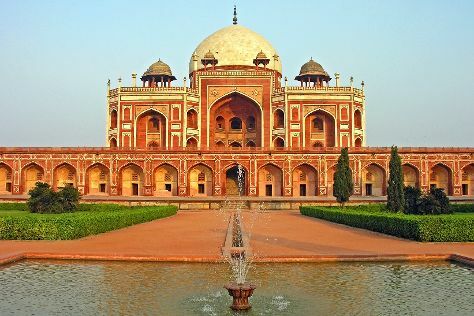 There's much more to do: steep yourself in history at Humayun's Tomb, don't miss a visit to Gandhi Smriti, admire the natural beauty at Akshardham, and step into the grandiose world of Red Fort (Lal Quila). For reviews, other places to visit, and tourist information, you can read our New Delhi online tour planner . In October, daily temperatures in New Delhi can reach 39°C, while at night they dip to 24°C. Cap off your sightseeing on the 20th (Sat) early enough to travel back home.